According to a report from the Institute of Medicine, more than 100 million Americans suffer from chronic pain at a cost of around $600 billion a year in medical treatments and lost productivity. That’s roughly 1 in 3 Americans. And some of them live on Vashon. So, let’s talk about what it means to be a person living with chronic pain, how we can make it easier for them to talk about it, and what we can do to make a real difference going forward. A friend of mine is only prescribed her Class B pain meds in small amounts, requiring her to make frequent trips to the doctor. I see my doctor once a year for a physical. My friend is there once a month. Another friend is required to bring a handwritten prescription to the pharmacist. Despite numerous phone calls, three days in advance, upon arriving at her doctor’s office – she is usually required to wait for HOURS until her doctor gets around to filling out the form. Does the pharmacy even carry your meds? Currently, there is a supply problem with my friend’s pain medication. Out of 80 pharmacies she called, only 3 have it and none can order it until 2015. Will insurance pay? For each person, one drug will work better than another. What can you do when the med that has worked for years – is suddenly dropped by your insurance? People with chronic pain become experts at what works (or doesn’t work) for them. An area of information ignored entirely when insurance companies focus on the bottom line. Life is hard. Life, when one suffers from chronic pain, is barely describable. Especially to those of us who are used to feeling good. Even when you get the support you need from your medical practitioner and the insurance industry, there are good days and bad days. Those of us lucky enough to be healthy can barely fathom what life is like for those with chronic pain. Their good days would leave most of us sobbing in our beds, and I am certain that I cannot even begin to imagine what a “bad day” is like. What do most people do on their bad days? 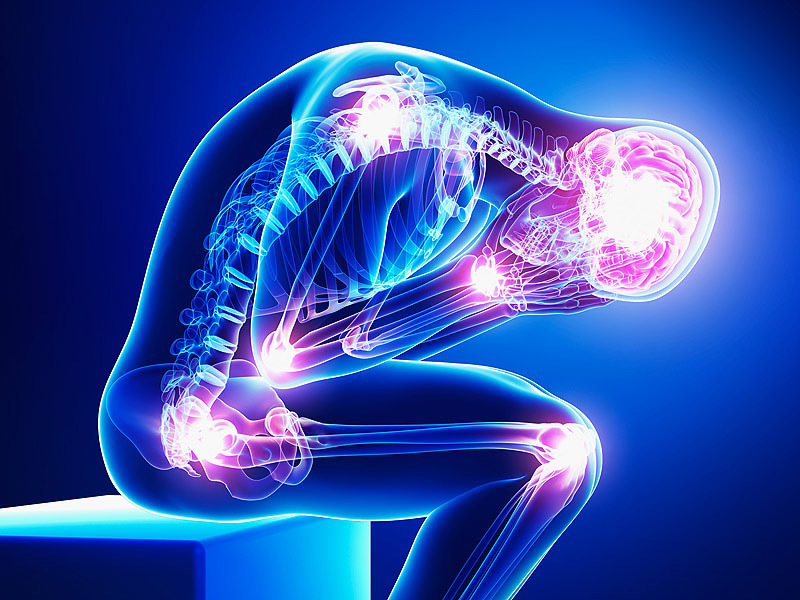 Do chronic pain sufferers give up? Sometimes. For a few hours or a couple days. But then, no matter how bad it is, like my friend, they get back up again. My friend will climb a ladder to paint her window trim, cook amazing food for a fundraiser, care for her pets, mentor youth and call to check on her aging parents…even on a bad day. As she says, life must go on. Here is a special message for all of my healthy friends. It is time to stretch your mind. Those of us who are LUCKY to be living in a healthy body truly ARE lucky. That drunk driver hit someone else, not us. That bullet hit someone else, not us. That e.coli laced cookie dough landed in someone else’s shopping basket, no ours. That drunk surgeon operated on someone else, not us. That congenital condition afflicts someone else, not us. Healthy people might be good at taking care of their bodies and avoiding self-inflicted harm, but most who suffer from chronic pain did NOT inflict it upon themselves. It happened TO them. So, what can us “lucky folks” do about this? First, let’s get off our high horses and start showing some compassion – both in the voting booth and out of it. Especially out of it. There are people in your community who suffer chronic pain. Do you know who they are? If not, are you willing to find out? And what will you do about it? Here are some ideas! Dropping in to say hi can help a person feel less alone. Offering to pick up a package at the post office may save them a pain-filled drive into town. Helping unload groceries, sweeping a porch, mowing a lawn, or saying you are just a phone call away…these can help. Even taking your barking dog inside can make a huge difference. It doesn’t take a concert, a candle-lit ceremony, legislation, or a huge fundraiser to make a powerful difference. It just takes mindfulness. Weekly choices, made by little people, who care to notice and support their neighbors & friends…this is how the world can change for the better. In fact, it’s the only way it will. Written by March Twisdale, this article is the first of a series intended to expand upon and compliment the Community Conversations series, co-written by March Twisdale and Karen Crisalli Winter who will continue to contribute to some articles. *This article has been published in the current issue of The Loop which is available at various locations on Vashon Island or at www.vashonloop.com where you can scroll to the bottom of the webpage and click on the PDF version on the right side of the page.